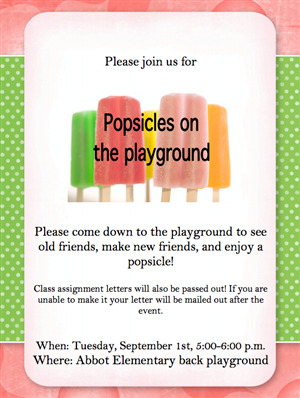 Don't Miss Popsicles on the Playground! Come cheer on your Abbot WESO team on Saturday May 30, 2015 at Pioneer High School. What is WESO? Washtenaw Elementary Science Olympiad is a fun hands on Science team. Our WESO program is the largest Science Olympiad in the state of Michigan. WESO is dedicated to increasing a student's interest in science and helping to instill a love of science in young students. This year Abbot will have 2nd, 3rd, 4th, and 5th grade teams participating. Our teams have worked very hard in their field of study for the big day. 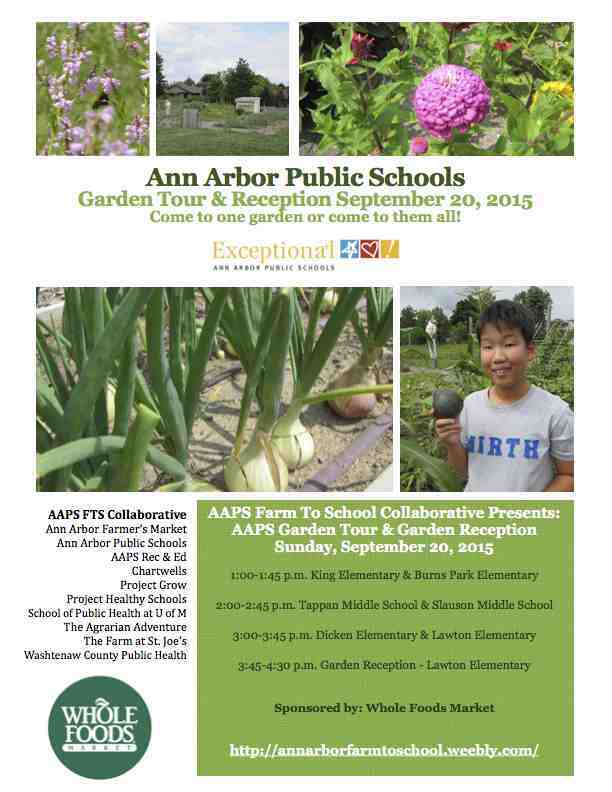 They will compete against many other Washtenaw County elementary schools. Award ceremonies are open to the public. Award times are: 2nd grade 11 a.m., 3rd grade 2 p.m., 4th grade 5 p.m. and 5th grade 8 p.m. There will also be many fun interactive science booths at the event for you to enjoy. The public will also be able to spectate two events. These events are Water Rockets and On Target. Abbot 3rd graders will launch their water rockets in the back field at 9:15 a.m. and 4th graders launching at 2:15 p.m. Inside the gym, come watch straw rockets take flight aiming for a specific target! On Target 3rd grade teams will build and fly their rockets at 12:30 p.m and 5th graders will build and fly at 6:50 p.m. Hope to see you there. Go Abbot All Stars! As we all know, Abbot is amazing! In just one week, our students raised $2,179.30 in small change for the Leukemia and Lymphoma Society (LLS). The Student Council chose the LLS "Pasta for Pennies" campaign as their charitable contribution to our community. Mr. Meyer's first grade class collected the most and will receive a celebratory pasta lunch from The Olive Garden restaurant. The Leukemia & Lymphoma Society (LLS) is the largest voluntary cancer research agency specifically focused on finding cures and better treatments for blood cancer patients. Because some blood cancers are childhood diseases, this cause is one our students connect with and feel good about donating to. With the help of programs like Pasta for Pennies, more than 1 billion dollars has been invested in research to advance therapies to save lives. 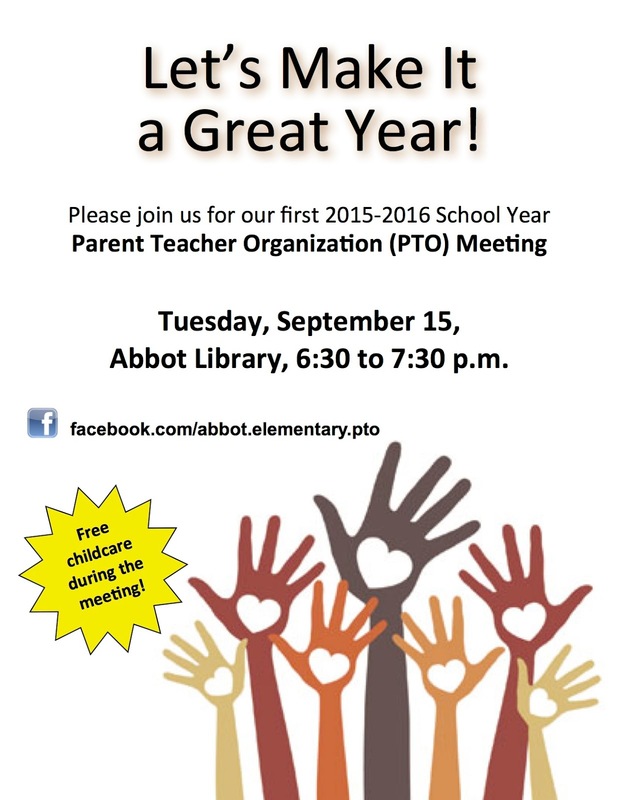 We are thrilled to announce new STEAM learning opportunities via Project Lead the Way are coming to Abbot in the 2015-2016 school year. 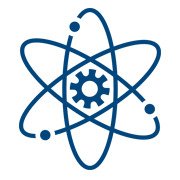 All students in grades K-5 will experience learning through STEAM (science, technology, engineering, arts and math) projects and problem-based challenges tied to our Ann Arbor Public Schools science curriculum and national standards. This exciting curriculum is engineered to “ignite interest and confidence” while supporting the development of 21st century skills. In the 2015-2016 school year, students across our school will experience two full modules of Project Lead the Way Launch. Our exceptional teachers will work together with AAPS Project Lead the Way Lead Teachers to deliver and facilitate this exciting program together. With their guidance, students will embark together on learning adventures, solving real-world problems and applying the engineering and design process to their thinking and end products. This is truly an exciting time for us at Abbot and we look forward to sharing more with you soon! In the May 5 election, the Ann Arbor Public Schools will ask voters to approve borrowing to take care of important capital expenditures that have been put off as other critical needs were addressed. The timing is right to take care of these needs at no added cost to residents of the district. So, what exactly is this bond for? Safe and Sound: A vote YES will replace an aging school bus fleet, outfit buses with security equipment like GPS and Cameras, retrofit all school entrances with secure doors and install energy-saving window treatments that meet safety protocols. Programs to Playgrounds: A vote YES will replace worn musical instruments and add new ones to meet growing student need, update our kids’ desks and equipment to support innovative teaching and bring school playgrounds up to the latest safety standards. Community Benefits: A vote YES will upgrade school auditoriums to support stellar arts programs and community events. Our many athletic fields will also be improved to not only better serve our kids but also surrounding neighborhoods and recreational use. AAPS has carefully managed its existing debt: the District just saved taxpayers $3.3 million through refinancing. Borrowing costs are low, and this is a great time for our community to invest in these kinds of improvements without having to take it away from the funds used for everyday classroom teaching. 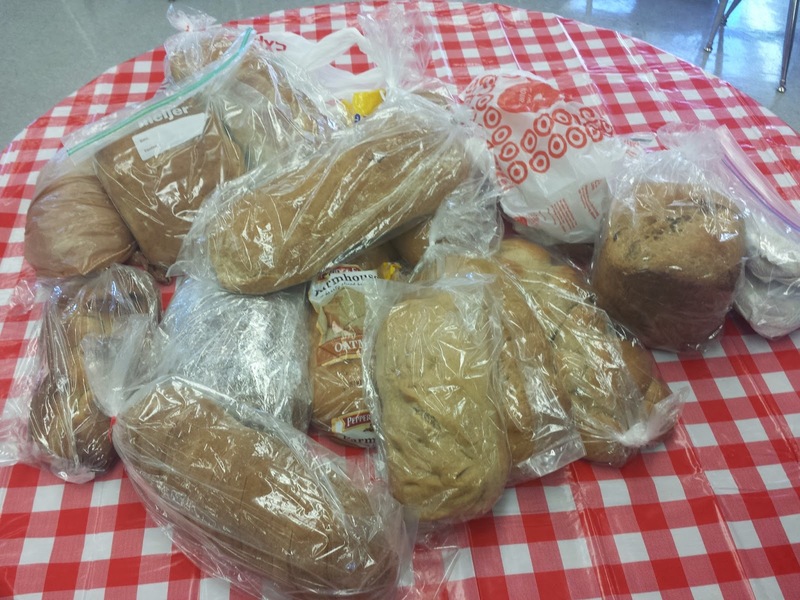 Bread the 4th graders made for the Peace Neighborhood Center. King Arthur Flour is a 225-year-old Vermont company that takes social responsibility seriously. Abbot 4th graders recently got a very special visit from company representatives who taught them a lot more than just how to make delicious bread — like science, math and microbiology. Students were amazed to find out that yeast, a microscopic organism, makes the gas that puts the air bubbles into bread. After a demonstration of how to make bread, each student was given two bags of King Arthur flour and asked to make two loaves. One loaf would be for their their family and one would be brought back to school and donated to the Peace Neighborhood Center to use at their community dinner. "It was a really cool and free reverse field trip for the 4th graders," said Tracie Frailey, a teacher consultant and resource room teacher at Abbot. "The children also made some delicious bread. We have some bakers!" Learn more about King Arthur Flour at http://www.kingarthurflour.com. You can find out more about Peace Neighborhood Center, a center for children, families, and individuals who are affected by social and economic problems, at http://peaceneighborhoodcenter.org. 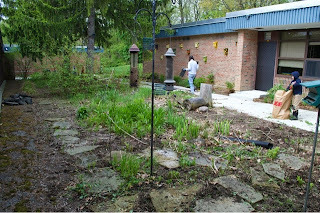 The Abbot PTO proudly donates to Peace each year. 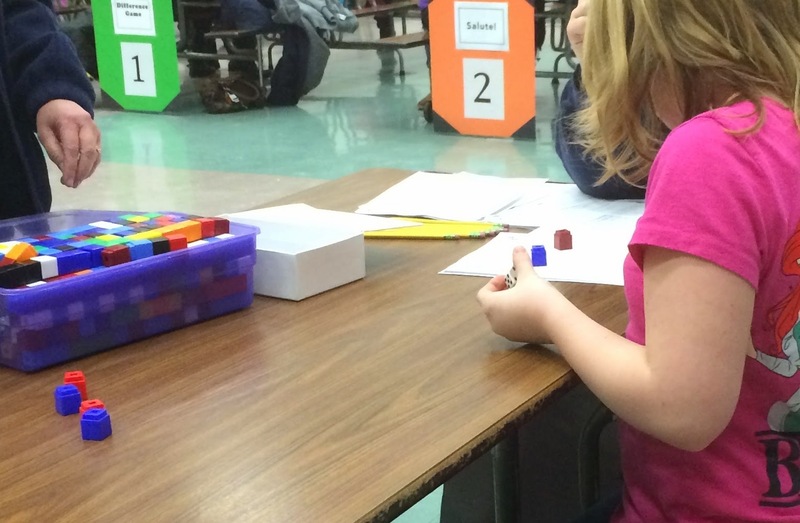 Approximately 150 students and parents attended this year’s Math Night on January 29, a record for the event. “This is the best Math Night we’ve ever had,” said first grade teacher Cathy Stone, one of the organizers. 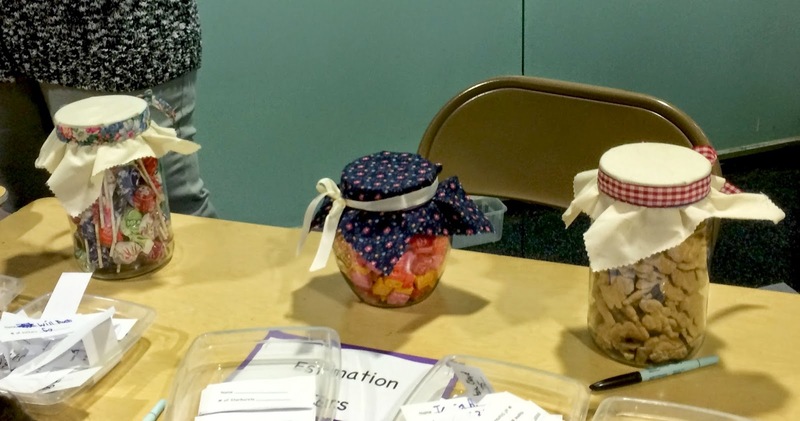 Ms. Stone thought a combination of effective promotion by the teachers and the addition of several new activities this year was behind the great turnout. 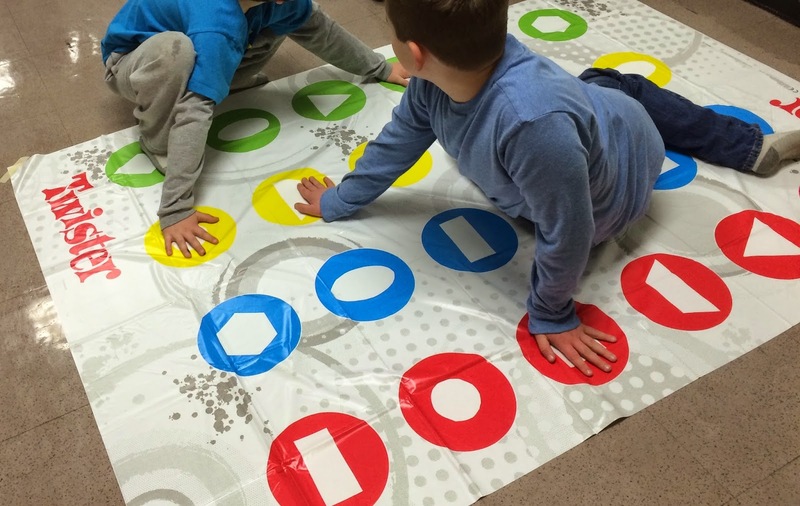 Students especially seemed to enjoy the math in art activities organized by Abbot art teacher Kristina Ruthven, the online math games in the computer lab, playing Twister and the estimation jar contest. “Having Ms. Ruthven involved was fabulous,” Ms. Stone said. Next year’s plans may include expanding the range of activities to also include art in music. Please email Ms. Stone at stonec@aaps.k12.mi.us and let us know how many of your family members are coming. Please help us reach all families of children who will be 5 between May 1 and September 1, 2015 (or by December 1, 2015 with a waiver) by sharing this poster. 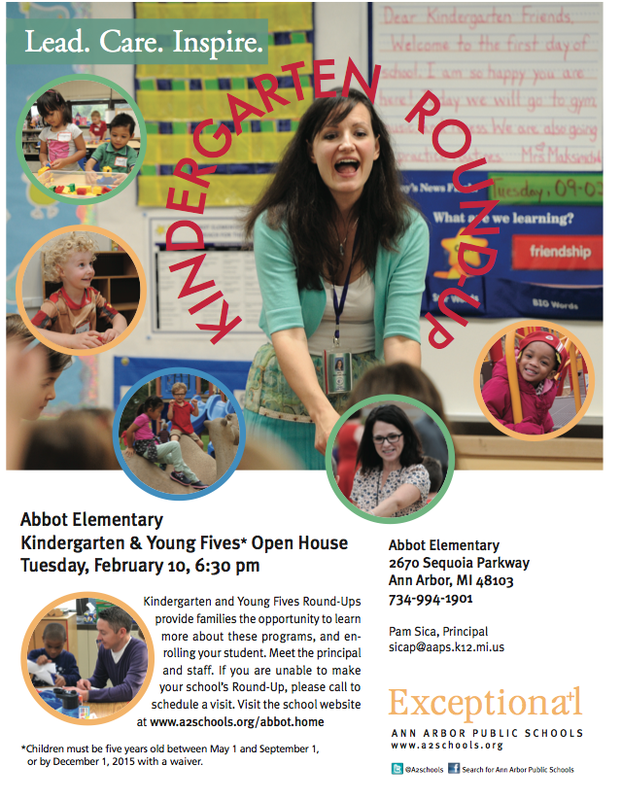 The Abbot Kindergarten and Young 5s open house (roundup) is February 10 at 6:30 p.m.